The period following the February Revolution in which the Romanov regime was replaced with a Provisional Government, was filled with unrest. 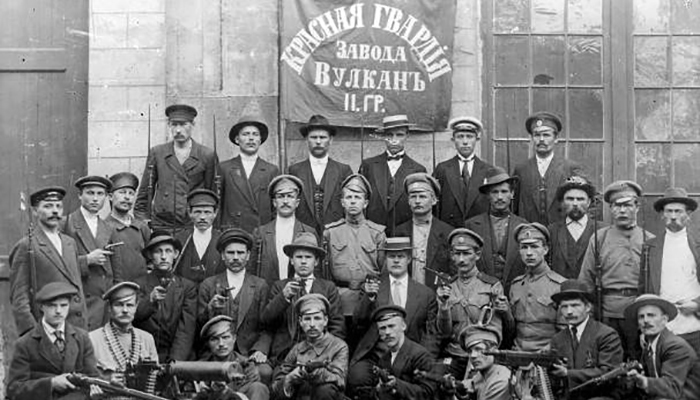 On 25 October 1917 (7 November in the Julian calendar), the Bolsheviks, led by Vladimir Lenin, seized power in an armed insurrection of workers and soldiers in Petrograd. The Provisional Government was deposed and Lenin called for a Soviet government that would be ruled directly by councils of soldiers, peasants and workers. The Bolsheviks won the catastrophic civil war that followed, reconstituting themselves as the Communist Party and paving the way for creation of the Union of Soviet Socialist Republics (USSR) in 1922. Vladimir Dubossarsky was born in 1941, which was was the year when the Nazi Germany invaded the Soviet Union. His father, an army officer, went straight to the front before Vladimir was born and they only met for the first time when he was 3 years old. Vladimir grew up in Ukraine and studied at the Moscow Institute of Cinematography, After that, he worked in a regional TV studio, as a news director. Vladimir came to Australian in 1977. He works as a broadcaster with SBS Radio’s Russian program, as well as an Interpreter with NSW Department of Health. Vladimir speaks Russian, English, Hungarian, Polish and Ukrainian, History is his hobby. WW2 is his obsession. Famously called the “ten days that shook the world”, the October Revolution was one of two revolutions in Russia in 1917 that marked the end of the Romanov dynasty and Tsarist rule, and led to the rise of the Soviet Union. an event which freed Russia from its feudal, medieval chains, catapulting it into the 20 century? a foreign plot to destroy the Motherland? Join Vladimir Dubossarsky for a fascinating investigation into the October Revolution of 1917, one of the most explosive political events of the twentieth century. Vladimir will also give his personal input, having lived in the Soviet Union.